The Ashok Gehlot-led Congress government has appointed a panel of three Cabinet ministers to negotiate with the community. 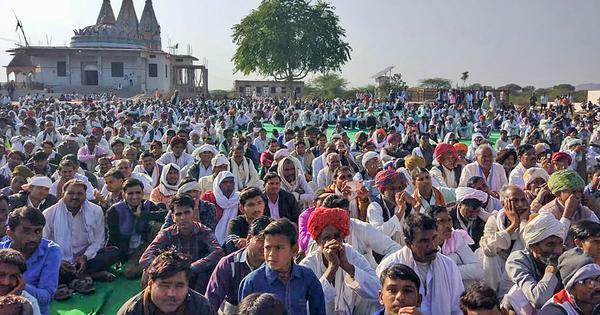 Hundreds of people from the Gujjar community blocked railway tracks at Sawai Madhopur in Rajasthan on Friday, demanding that the state government implement the 5% reservation it had promised them and four other groups in 2017. The protesters marched to the tracks in Sawai Madhopur, around 150 km from Jaipur, on Friday morning, NDTV reported. “The government hasn’t responded to my request [for reservations],” Gujjar leader Kirori Singh Bainsla told ANI. “So, I am going to start an agitation.” The Ashok Gehlot-led Congress government has appointed a panel of three cabinet ministers to negotiate with the community. Currently, the community gets 1% reservations in education and government jobs. Last month, Bainsla had given the state 20 days to clear its stand on reservation to the five groups. 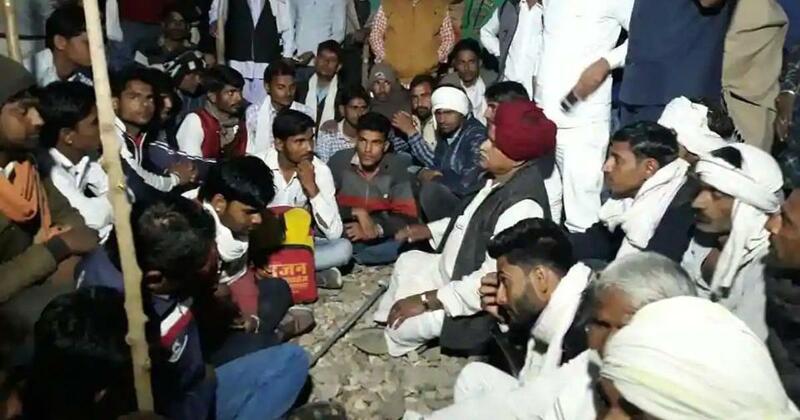 The Gujjar leader held a “mahapanchayat” at Malarna Dungar in Sawai Madhopur district on Friday, and then proceeded to begin his protest on the railway tracks. The protest has affected railway services on the Delhi to Mumbai route, NDTV reported.